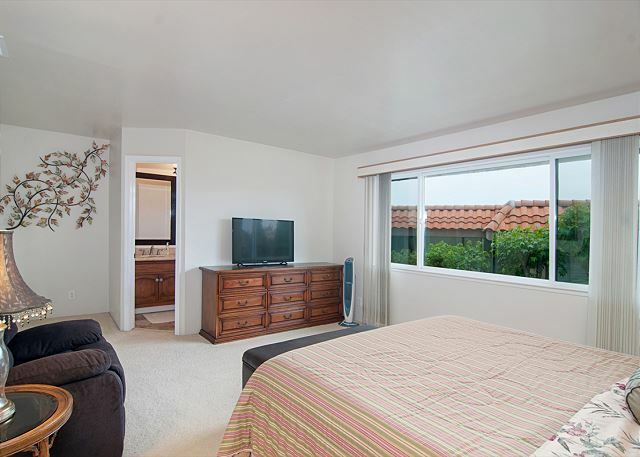 This dual master bedroom vacation home has a peek of the ocean from the back patio and you can hear the surf from the master bedroom!! 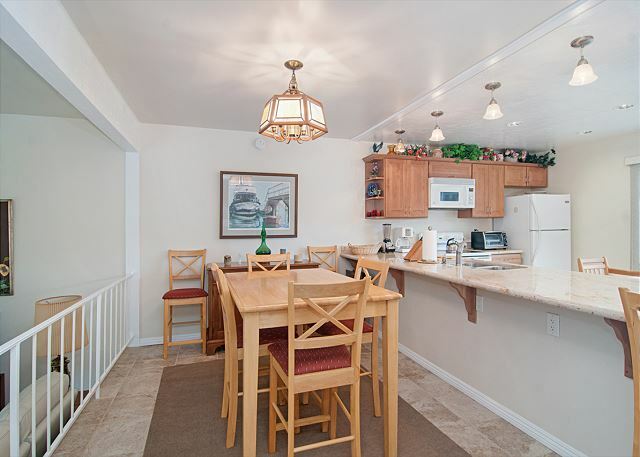 You can also enjoy the spacious enclosed patio, that includes a BBQ and is located right off of the family room.This delightful condo has everything you need to call home. There is a washer and dryer, wireless internet, cable TV and 2 king beds along with a futon that is comfortable for extra guests. 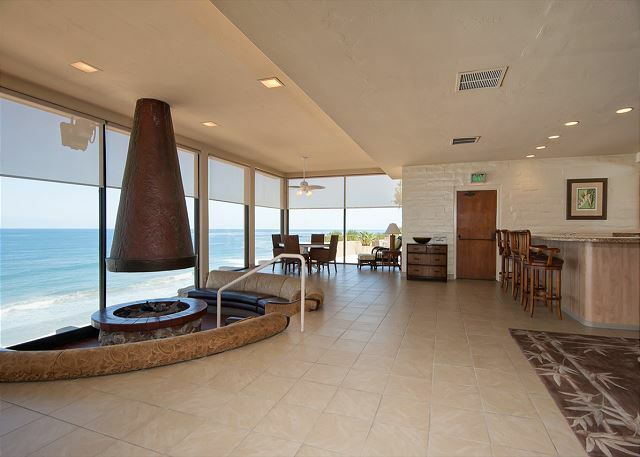 This condo is perfect for anyone who is looking for a getaway where they can leave all their worries and stresses behind! 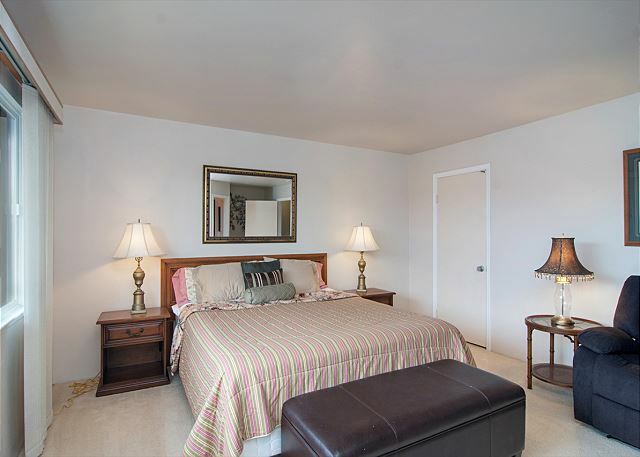 It is wonderfully located in walking distance to shopping, restaurants, the Del Mar Race Track and Solana Beach train station that will take you to downtown San Diego!! 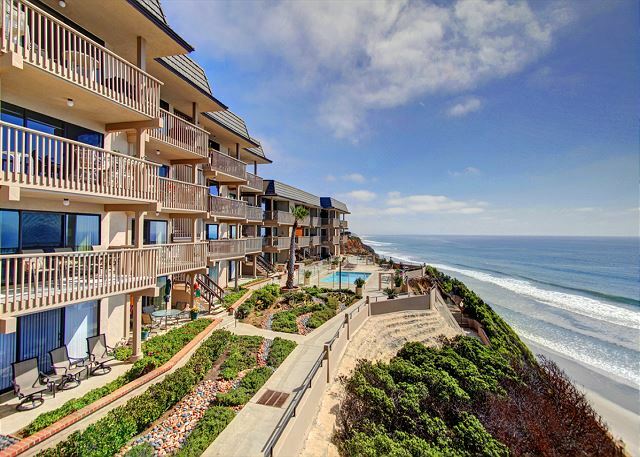 I have stayed at a few places at the Del Mar Beach Club and this Unit was the best maintained. 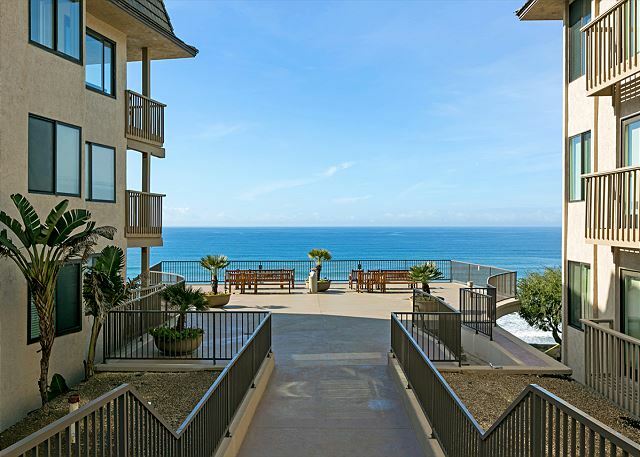 Great location with the calming sound of the waves rolling to the shore. good experience. sorry we didnt get to say good bye to muriel. My family really enjoyed the week! The rental agent (Muriel Murphy)confirmed by email a modified end date for the rental. Two days before the modified end date I was contacted by phone to ask why I wasn't out of the unit. Upon checking the rental agent noted that she forgot to put the modified end date in the computer. I had to leave the unit one day early and incur a hotel bill for $136.84 for my remaining vacation day in the area.